Film packaging is booming – therefore film producers in-creasingly demand high-performance equipment to produce premium-quality film with low energy consumption. batten-feld-cincinnati, Bad Oeynhausen/Vienna offers customized solutions which meet these requirements. At this year’s K, the company’s Packaging Division will inform visitors about its high-speed extruder and new “Multi-Touch” roll stack, which can be delivered either as individual components or combined and integrated in complete extrusion lines. 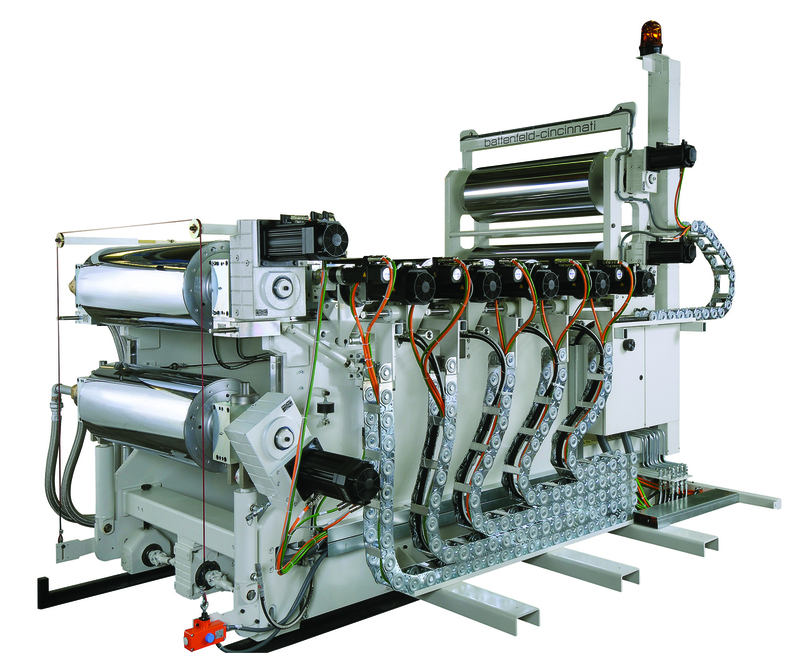 With the Multi-Touch roll stack, the machine manufacturer has developed an optimal solution for film producers who do not wish to compromise on quality, transparency, flatness or film thickness even at high line speeds. 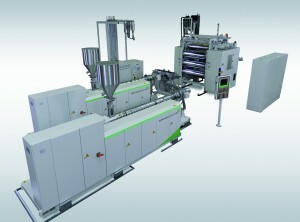 In contrast to conventional 3-roll roll stacks, the Multi-Touch roll stack operates with a larger number of roll nips, thus achieving reliable cooling of the film on both sides. The new roll stack is equipped with a two-roll roll stack for prelim-inary calibration and either three, five or seven rolls for final cali-bration. The first rolls come with a larger diameter to minimize deflection. The rolls which follow are smaller. 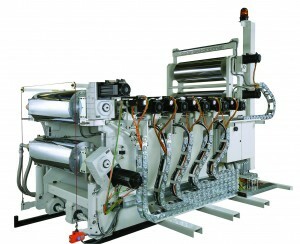 This ensures the production of film with low tension and perfect flatness. Thanks to continuous roll contact, the film has hardly any orienta-tion and an extremely even thickness profile. In contrast to standard roll stacks, where film tolerance margins of 3% are the order of the day, Multi-Touch achieves an accuracy of +/- 1%. The material savings not only help to cut costs, but also make an active contribution to protecting the environment. This also applies to the use of thin-walled rolls in final calibration, which can be operated more energy-efficiently with the same hardness and equally high line loads – a solution which also makes sense both ecologically and economically. So premium-quality film can be produced with the new Multi-Touch roll stack at high line speeds from a great variety of materials such as PS, PET, PP or EVA and co-extruded products, and all of this with reduced material and energy consumption. Energy costs can also be cut by using a high-speed single-screw extruder from battenfeld-cincinnati, namely by up to 25 % com-pared to a conventional extruder with the same output. All extrud-ers from this series come with a 75 mm screw diameter and are now available with drive units in four different sizes, and down-stream equipment to match. They achieve outputs of up to 1,500 kg/h in PP processing and up to 2,000 kg/h with PS. In spite of the high-speed extruder’s enormous screw speed of up to 1,500 rpm, material degradation has been excluded. The process technology layout of screw and barrel ensures optimal melt pro-cessing and consequently best possible product quality. Color changes can be implemented extremely fast, and a stable operat-ing point is reached again within just a few minutes. The main benefit of high-speed technology is its high output with compact design. The latter ensures efficient operation with a small footprint and low consumption of resources.